Inserting a toy, a DVD or some other prize into a cereal box as part of a promotional campaign may be popular with consumers, but the prospect offers little joy to packaging line operators faced with extra, time-consuming product changeovers and line modifications. Luckily for them, companies like ECON-O-PAC Limited are only too happy to take these peripheral packaging exercises off their minds by taking them, literally, out of their hands. 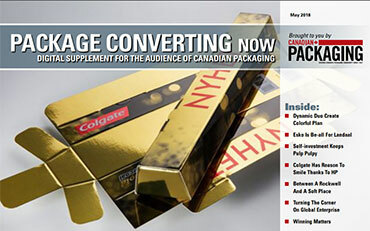 Located at a 50,000-square-foot facility in the east-end Toronto suburb of Scarborough, the 33-year-old company has earned its bread and butter over the years by offering niche custom packaging services to large-scale CPG (consumer packaged goods) manufacturers whose huge production runs don’t easily allow for the sort of instant flexibility and quick changeover needed to accommodate seasonal and one-off packaging changes in a cost-effective manner. That’s where the likes of ECON-O-PAC come in. “You can call us a contract packager, a custom packager or a co-packer and you wouldn’t be incorrect,” states the company’s affable vice-president and managing partner Howie Nisenbaum. “The terminology doesn’t matter to our customers—the ability to solve their problems does,” states Nisenbaum, who purchased the company from original owners in 1985, along with his business partner Elliott Warsh. “In our view, every project is custom,” Nisenbaum told Automate Now on a recent visit to the ECON-O-PAC facility. “Our strength lies in a highly configurable production process that allows us to manage high volume runs—millions of units per week—while meeting quality standards unique for this specific run,” states Nisenbaum. According to Nisenbaum, 30 per cent of the company’s business is accounted for by third-party production of sample and bonus packs; 30 per cent by package inserts; another 30 by filling blister-packs; and the remainder by providing various types of services such as coupon inserts and outserts, attaching game-cards, affixing instruction sheets, etc. Stressing that the company is first and foremost a packaging specialist, rather than a fulfillment specialist, Nisenbaum says he takes pride in its ability to handle just about any sort of product shipped to its doors—ranging from ChapStick lip-balm sticks to lollipops, small toys and DVD inserts. “We handle most of the cereal companies’ promotional inserts and we work quite closely with many of the larger ad and marketing agencies,” declares Nisenbaum, citing a long list of high-profile clients like Frito Lay, General Mills, Kellogg’s, Kraft, Maple Leaf Foods, Nestlé, Pepsi, S.C. Johnson, Unilever and Wyeth. “But even with great customers like these,” stresses Nisenbaum, “you cannot ever get complacent—technology and market changes demand that you always continue to evolve. 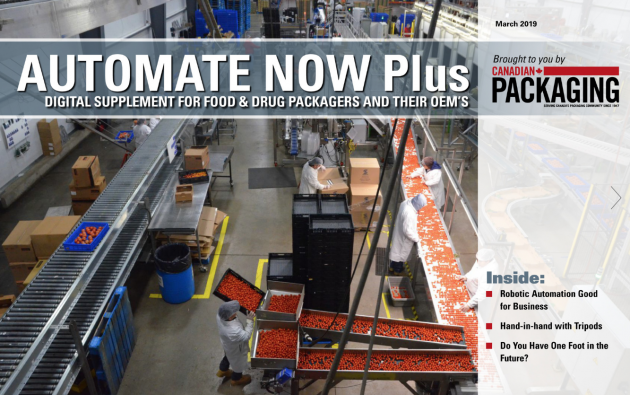 Nisenbaum explains that the company offers its food, pharma and CPG clients a choice of several specific types of packaging options: flowpack—in single and bandolier form; hermetic four-sided seals; blister-packs; printed overwrap; door/bottle hangers; and film overwrapping. To keep its stocks of polypropylene, polyethylene, polyester and cellophane films ready to go at all times, the company purchases most of its films from Pliant Corporation’s Canadian subsidiary in Orillia, Ont., and Innovia Films Inc., a U.K.-headquartered film manufacturer specializing in the development of biodegradable packaging plastics. 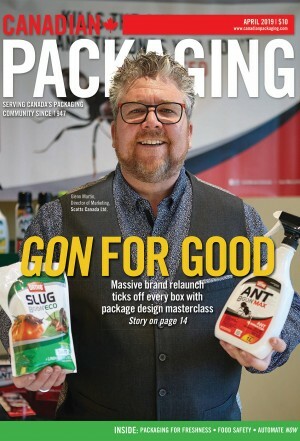 Meanwhile, using the recently-commercialized NatureFlex biodegradable films from Innovia—made from wood cellulose—has enabled ECON-O-PAC to bolster its own sustainability credentials. “It is a rapidly biodegradable and compostable material—about as environmentally-friendly as potato peels,” opines Nisenbaum, while also citing good printability of the film and the full approval of the U.S. Food & Drug Administration (FDA). Because time-sensitive promotions by nature necessitate lighting-quick turnarounds and tight deadlines, its is vital to have all of the plant’s operating machinery ready to go at moment’s notice, Nisenbaum reasons, while providing line operators with full operational flexibility to accommodate all the changing packaging variations. For a plant housing a total of 25 packaging lines, that means periodic capital investment in better, faster and more versatile machinery and equipment. About a year ago, ECON-O-PAC successfully carried out one of such upgrades with the purchase of a highly-automated combination filler and bagger manufactured by the Montreal-based packaging equipment manufacturer WeighPack Systems Inc. Combining a filler, a live bucket, a gravity hopper, a bucket elevator, and an exit conveyor in a high-performance design configuration, the XPDius 800 vertical F/F/S (form/fill/seal) bagger with a CombiScale 14H filler has already proved itself to be a wise investment, according to Nisenbaum. “The XPdius is a flexible, compact machine that allows for quick changeovers, which is something we require the most as contract packagers,” states Nisenbaum. Constructed in stainless steel, the XPdius vertical baggers feature automatic film tracking; user-friendly touchscreen controls; a Mitsubishi PLC (programmable logic controller); and a servo-powered motor that controls the sealing jaws and pull belts to ensure smooth operation, as well precise control and positioning of the film. The XPdius 800 boasts high-speed capacity of up to 120 bags per minute using either laminated or polyethylene film bags in widths up to 20 cm and bag lengths up to 30.5 cm, according to WeighPack, and it can work equally well with all the stand-up, gusset and pillow bag formats. Featuring a front-supported horizontal seal assembly to ensure robustness and durability, the XPdius series machines are loaded with a broad array of value-added standard features, including: floating film unwind assembly; motorized film pull rollers; positive film break mechanism; auto length positioning photo-eye; touchscreen control panel; individual temperature controls; and a film splicing station. ed on a platform above the machine. After the product is placed into a live bucket, it is moved via a bucket elevator to a funnel that releases it into the CombiScale filler, where the system’s dispersion pans distribute the product to the 14 hoppers, which use vibration to move the product into the weigh buckets. Once the product is in the hoppers, the CombiScale’s computer selects a combination of buckets that best equals the required weight without going under and opens the hopper, discharging the product down into the XPdius bagger. After the bagging is done, the packages are moved up along a short conveyor, one at a time, to be run through the Metal Chek 9 metal detection system manufactured by the U.K.-based Lock Inspection Systems Ltd., for a final quality assurance check. Nisenbaum says the WeighPack V/F/F/S machine has been a true workhorse for the plant, being used almost non-stop since its installation. In addition to making best use of its machinery, ECON-O-PACK also places a significant premium on packaging innovation, according to Nisenbaum. 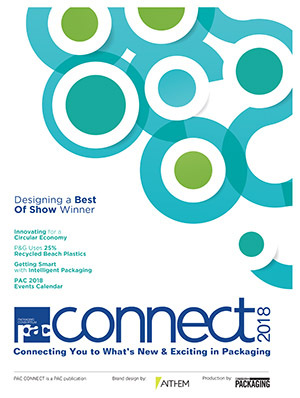 “One of the ways in which ECON-O-PAC has proven itself to be an industry leader is by revolutionizing the insertion of three-dimensional inserts into food packaging at high line speeds,” asserts Nisenbaum. The new method replaces the manual procedure of hand-dropping plastic toys into packages with a fully-automatic process utilizing continuous format bandolier technology and a Cougar Uno horizontal flowwrapper, manufactured by the Italian-based Illapak Inc.
“Line speed is very important to us and our clients,” says Nisenbaum, “and our success with this technology has enabled us to take us tiny, postage stamp-sized, pre-folded coupons and to insert them into small-mouth bottles at the full running speed. “This is something that the pharmaceutical industry is very interested in,” states Nisenbaum, reasserting that the company is fully-certified to meet even the most stringent compliance requirements demanded by its clients. “By acting as an extension of our customers’ facilities,” he reflects, “we must be as good or better than they are. 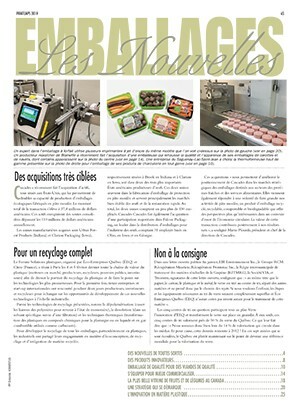 “To that extent, as part of our mandate, we have an NHP (natural health product) designation; we follow all the CFIA (Canadian Food Inspection Agency) guidelines; and we are audited thoroughly by Bureau Veritas and the AIB (American Institute of Baking), with the AIB awarding us a ‘Superior’ rating for the past 10 years in a row,” points out Nisenbaum. “In the end,” says Nisenbaum, “good packaging should provide a solution to a problem, and that is why our experience is so valuable.